Below are all the PBG Predators options for this summer. We have created and designed some new exciting training programs in the hope to provide more opportunities for all our players - both young and old, experienced and developing. 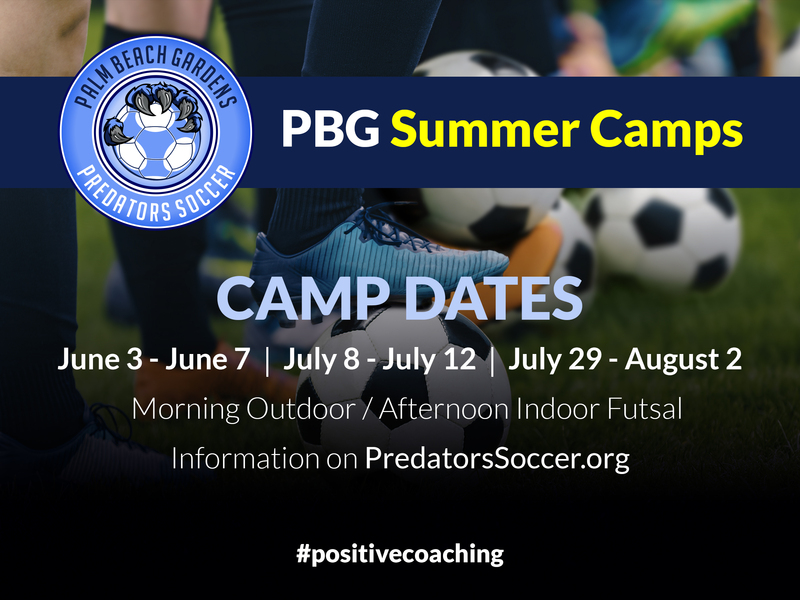 We have also created an exciting relationship with Palm Beach United for semi-professional soccer games in the summer to promote any PBG Predators player to attend for free for home games! New camp location this summer as Duncan Middle School is renovating. 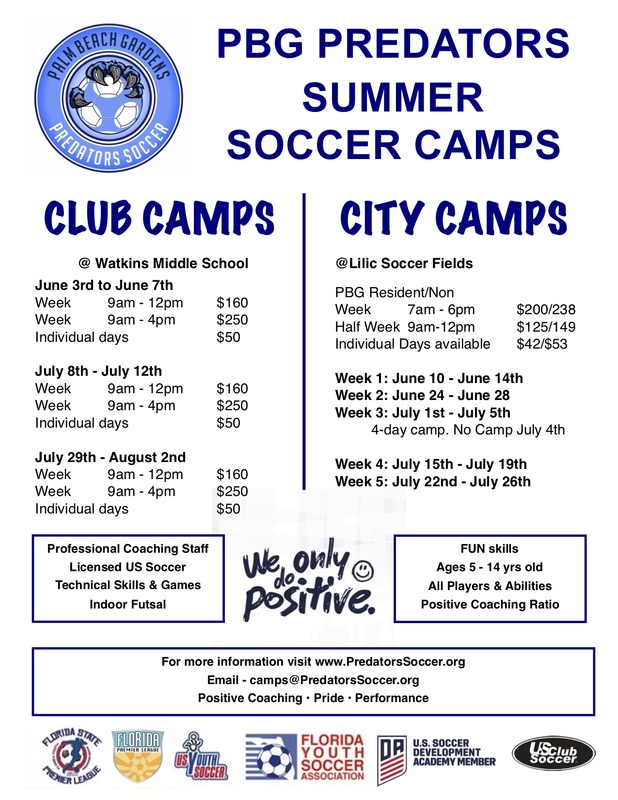 We have moved the camp to Lake Catherine fields and utilize Watkins Middle School for the indoor Futsal gymnasium. The softball fields are in fantastic condition and this way we have excellent fields and an indoor Futsal program. Ages 5-13 years old. Individual days available. We continue our City camps this summer with coach Kris Steeves. Registration for these camps are through the PBG City recreation website directly. Ages 5-13 years old. Click Here for city website. We wanted to provide a new and very intensive competitive camp environment this summer for 4 sessions over 3 days. The training will be very focused and very competitive. We hope this provides everyone different opportunities through the summer.